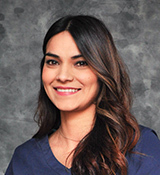 As office manager, Adriana is responsible for ensuring that our practice runs smoothly. Her background includes a wealth of management experience, including 7 years as branch manager for Advance America in Manteca. Adriana is originally from Romania, where she owned and operated an import/export business for 4 years. She holds a marketing degree from Vasile Goldis University in Arad. Adriana moved to the U.S. to be with her husband, Ray, and they now reside in Yuba City. Adriana loves to spend time with Ray and their two grown daughters. She also loves her dogs, the ocean, reading, and swimming. 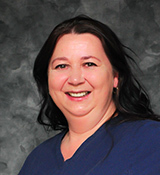 Sandra joined our practice in 2013 while completing her externship requirement for the Medical Office Receptionist program at Cambridge College. We enjoyed Sandra so much that we decided to hire her as a receptionist after the externship was completed. She is a Woodland native who is fluent in Spanish, and she has quickly become an integral member of our team. In her spare time, Sandra enjoys outdoor activities such as soccer, jogging, and hanging out with friends. Look for her friendly face to greet you at the front desk upon arrival!